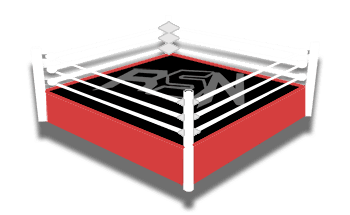 Vince Russo's The Brand Recap - Jeff Jarrett Reaches Out, Impact Targeting Successful Podcasts, PodcastOne Contract Expiring, More! Russo starts today’s show talking about his podcast, and his plans moving forward. He admits that he’s not sure if his 1-year contract with PodcastOne will be renewed on April 1st. His podcasts are not delivering the same numbers now as they did when he fully covered wrestling on a daily basis, and he fears that this may cost him his podcast at the end of this month. He’s 56 years old and he doesn’t look at fake fights as an appealing way to spend his time anymore. The fact that he has stopped discussing some elements of the wrestling business has resulted in a drop in listeners and he fully expected that, but that hasn’t changed his mind and he has no intention to talk only about wrestling anymore. He assumes that people would rather he discuss Jack Swagger’s rumoured departure from WWE or the fact that Impact Wrestling has reportedly signed a television deal in the UK. He says that nobody cares about that stuff and he’s done discussing it. Russo informs that he got an email from Jeff Jarrett about a week ago, where Jarrett asked Russo what kind of numbers his podcast draws on a daily basis. After being honest with Jarrett about his numbers, he didn’t hear back from him. A few days later, it was announced that Bruce Prichard was hired by TNA in large part due to the numbers Prichard’s podcast draws. Another podcast host, Konnan, has been advertised as returning to Impact as well.